Good Health Is Our Birth-Right! Sifu Wong and his wife holidaying in Sabah at the invitation of Dr Damian Kissey. Although they are about 60 years old, Sifu Wong and his wife enjoy good health and vitality because of their regular chi kung practice. Good health is our birth-right. We are by nature healthy. In this post I shall share with you my knowledge and experience as a chi kung grandmaster in helping literally hundreds of people to be healthy. Many of these people were chronically ill before. As we are by nature healthy, illness is an unnatural state. This means that illness, any illness, is temporary and can be rectified. Understandably, to those who have been ill for a long time and have been used to the idea that their illness is “incurable”, this claim may sound outlandish, or, more positively, too good to be true. I can assure you that this claim is true, and is made earnestly, substantiated not only by sound medical philosophy but also by hundreds of actual case histories. To comprehend the truth of this claim, you have first of all to realize that the conventional Western medical paradigm of looking at health and illness is not necessarily the only correct way. Another way is to use the traditional Chinese medical paradigm, which actually has maintained the health and sanity of the largest population of the world for the longest period of known history. In case someone thinks that traditional Chinese medicine is primitive or unscientific, he or she may derive some inspiration from the fact that at a time barely three hundred years ago when Western medicine employed cupping and bloodletting to treat virtually all diseases and confined the psychologically ill to asylums as possessed by spirits, the Chinese had been treating physical and psychological illness successfully for more than thirty centuries! It is categorically stated here that this website is never meant to undermine conventional Western medicine. Personally, I believe that conventional Western medicine has, and will continue to have, an essential role in modern societies, and in many cases conventional Western medical treatment is more effective than traditional Chinese one. The main aim of this website is to provide authentic information, which may not be easily available in the West due to linguistic, cultural and other reasons, on how and why many so-called “incurable” diseases like asthma, cancer, cardiovascular diseases, diabetes, kidney problems, maniac-depression, nervousness and sexual inadequacy can be cured by practicing chi kung. This can be easily and logically explained using the Chinese medical paradigm. Dr Inaki Rivero Urdiain and others from Spain practicing “Lifting the Sky” during an Intensive Chi Kung Course in Malaysia. 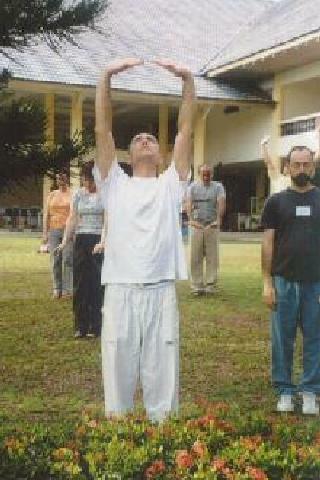 “Lifting the Sky: is an excellent chi kung exercise. According to Chinese medical philosophy, there is no such a thing as an incurable disease, although a patient may be incurable if his illness, even a simple one, has done damage beyond a certain threshold. Every disease can be cured because we are by nature healthy. Even a few minutes of reflection will reveal that this premise is true. Think of the millions of deadly germs that are around and inside you; think of the wear and tear that is constantly going on in your body; and think of the continual stress that affects your psyche. Yet you are not normally sick — if your natural systems are working the way they should. is functioning the way it is supposed to. The Chinese also symbolize this healthy interaction between the body’s natural systems and all disease-causing factors as yin-yang harmony, yin representing the body’s functions and yang the pathogenetic agents. you would be respectively infectiously, degeneratively or psychologically sick. The Chinese describe this sick condition, which is unnatural and temporary, as yin-yang disharmony. energy blockage hindering energy to flow to where it is needed. If you do not have sufficient antibodies to fight invading germs, for example, or if your mental impulses commanding repair work are disrupted, or if your negative emotions are trapped inside your body — all of which manifest disharmonious energy flow — you would be sick. The forte of chi kung is to clear energy blockage and to increase energy level. Chi kung, spelt as “qigong” in Romanized Chinese, is the art of developing energy, particularly for attaining health, vitality, longevity, mental freshness and inner peace. This entry was posted in Chi Kung Healing, Courses, Shaolin Wahnam Insight, Wahnam Sifu on November 5, 2012 by Wei Joo Lee. Congratulations to Our New Shaolin Wahnam Chi Kung Healers! I would like to congratulate our new Shaolin Wahnam Chi Kung Healers, and to our new Shaolin Wahnam Instructors. I would like to especially congratulate Sifu Dr. Foong Tuck Meng, who is a fellow Malaysian and is a new Chi Kung Healer from Kuala Lumpur. A new chapter in medical history is underway! 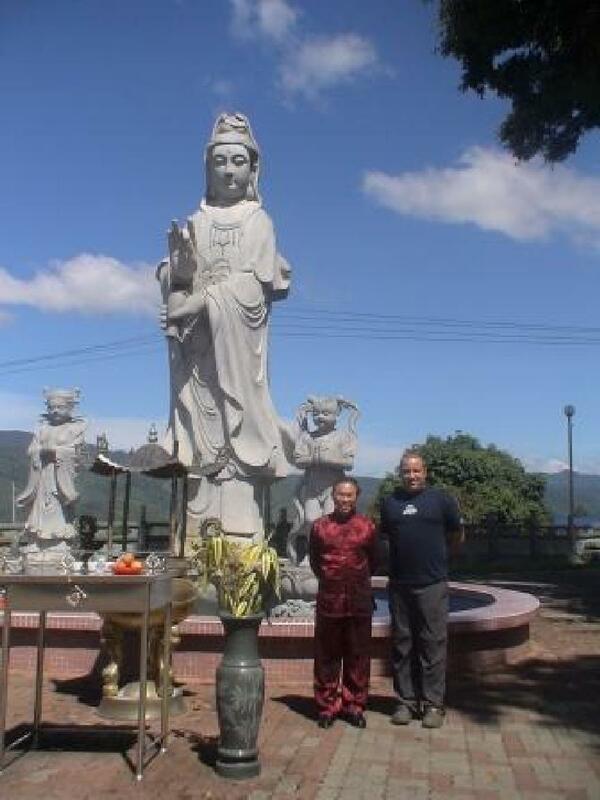 This entry was posted in Courses, Shaolin Wahnam Insight, Wahnam Sifu and tagged chi kung, chi kung healer, Shaolin Wahnam on December 5, 2011 by Wei Joo Lee. Editorial Note:Sifu Wong Kiew Kit presented a paper on “Qigong, a Cure for Cancer and Chronic, Degenerative Diseases? 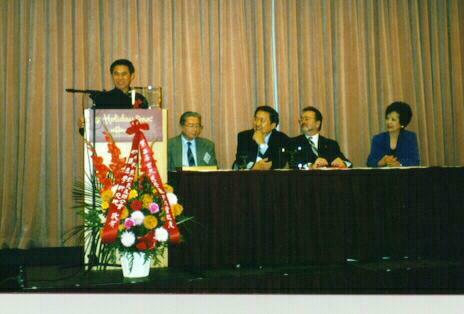 A Global Interest” at the Second World Congress on Qigong, held in San Francisco, USA from 21st to 23rd November 1997. 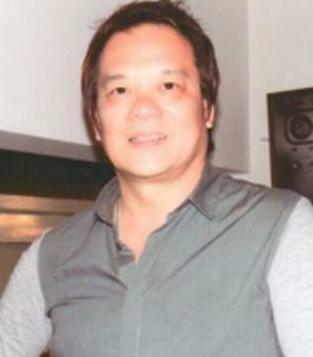 At the Congress, Sifu Wong was awarded “Qigong Master of the Year”. There is No such a Disease as Cancer! The question of cancer illustrates an interesting difference of perspective between conventional western medicine and traditional Chinese medicine in viewing disease and health. If we take the western perspective and call a disease cancer, it brings forth a feeling of fear and anxiety. But if we take the Chinese perspective, there is no such a disease as cancer! That does not mean people suffering from an illness with symptoms which the west would identify as cancer, did not exist in China. They did but they were never identified as cancer patients, and many of them might have recovered without ever knowing that their disease would be called cancer by western doctors. Then how did traditional Chinese physicians identify their illness? Unlike in conventional western medicine where a disease is identified by its symptoms, in traditional Chinese medicine it is identified by the pathogenic conditions of the patient. Hence, three patients diagnosed by western doctors as suffering from the same disease such as stomach cancer, would be described differently by Chinese physicians, because the pathogenic conditions that cause the same symptoms can be different. One patient may be described by the Chinese physicians as suffering from energy blockage of the spleen meridian, another from poisonous heat in the stomach system, and the third from accumulation of fire evil at the intermediate level. While these diagnostic descriptions may sound funny to western audience, mainly because of cultural and linguistic differences, they are both meaningful and poetic to the Chinese. To the patients themselves, it can be a difference of hope or resignation, recovery or suffering. While western medicine uses such treatment methods as chemotherapy, radiation and surgery, which attempt to eliminate the symptoms, Chinese medicine seeks to remove the causes. Hence, Chinese physicians would not be so concerned as the spread and level of malignant growth, as, in the case of the three patients, clearing energy blockage of the spleen system, eliminating poisonous heat at the stomach system, and dispersing fire evil at the intermediate level. When the pathogenetic causes are removed, the patients will recover as a matter of course. It is a fallacy to say that cancer is incurable. Cancer experts know that every person has cancer not just once or twice but thousands of times in his (or her) lifetime, and the same thousands of times he recovers from cancer without his knowing. It is only when his systems fail to function as they should function, that cancer surfaces as a clinical disease. 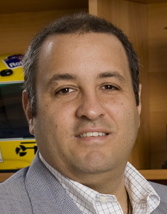 Statistics show that one out five persons in the United States has cancer as a clinical disease. The situation in other parts of the world is equally disturbing. But if we are aware of the environmental conditions we are in, we would probably revise our thinking. According to cancer experts, the two main causes of cancer in human are chemical carcinogens and radiation. You may be alarmed, or heartened — depending on your perspective — to know that we are literally living in an ocean of carcinogens, or cancer-causing substances. The following are only some of the common carcinogens: arsenic, asbestos, benzidine, benzpyrene, carbon tetrachloride, chromium compounds, lead, nickel compounds, oils, petroleum products, cigarette smoke, pitch, hydrocarbons, cobalt, soot and tar. Thus, the moment you step onto a tar road, you expose yourself to a carcinogen. You may, with tremendous effort and extreme discomfort, avoid chemical carcinogens, but you simply cannot avoid radiation. Not only we are constantly exposed to powerful radiation from outer space, we are also constantly exposed to radiation inside out body. Our free radicals, which are essential for our immune system, are radio-active. Radiation causes cells to mutate. An adult has about 100 trillion cells, and each day he produces 300 billion cells to replace cell loss and damage. If just only one cell mutates, if left unchecked, it would lead to cancer. With this awareness, we should ask not why does one out of five persons have cancer, but why four out of five do not. The answer is actually simple: we have wonderful systems ourselves to overcome not only cancer but all diseases. For example, millions of cells mutate every day, but they are checked and balanced by our own wonderful body systems. Good health is our birth-right. We are by nature healthy. Illness occurs only if one or more of our body systems fail to function naturally. Illness is unnatural and temporary, and therefore can be rectified. In Chinese medical philosophy the way to maintain or regain health is to restore the natural functions of our body systems. The Chinese figuratively call it restoring yin-yang harmony, yin representing the natural workings of the body and yang all disease causing agents. There are many approaches in restoring yin-yang harmony, such as acupuncture, herbalism, massage therapy and external medicine, but the most direct and natural is chi kung. Chi kung, also spelt as “qigong” in Romanized Chinese, is the art of energy. Life, most life scientists today agree, is a meaningful flow of energy. If the flow is disrupted, illness or even death may occur. The forte of chi kung training is to increase energy level and ensure its harmonious flow. This meaningful flow of energy occurs at all levels of life. For example, at the organic level when radiation becomes stronger, such as when we go into the sun, numerous mechanisms will trigger off the right responses to adjust to the changing environment. At the cellular level when carcinogens seeps into cells, just the right amount of hormones (many of which are still unknown to modern science) will be produced to neutralize the adverse effect of the cancer-causing chemicals. In Chinese medical terms, this is known as harmonious chi flow. Recent research using modern scientific methods and instruments has shown some encouraging facts about the effect of chi or energy on body cells. It has been discovered that 50% of cancer cells in a cultured dish were killed after a chi kung master has transmitted chi into them after 5 minutes — without affecting other healthy cells. It is also discovered that the DNA pattern of a sick person is slightly different from that when he is healthy, and harmonizing energy flow through chi kung training can restore the healthy DNA pattern. If medical researchers place the interest of cancer patients above pride and prejudice, vested interest and group pressure, they should at least conduct further tests to honestly investigate if these claims are true. It may be assuring to some cancer patients to know that practising chi kung, even if it does not bring the desired cure, cannot make their illness any worse. Even if total recovery is not achieved, their quality of life is almost certain to improve. They will, amongst other benefits, be able to eat and sleep better, experience less pain, have more energy, and most important of all regain their hope and will to live. But they should aim for complete cure, for to be healthy is their birth-right. They should also realize that they need to practise chi kung, and not just some gentle exercises mistakenly regarded as chi kung. A crucial criterion is that they should be able to purposefully improve their energy flow. Better still, they should enter into what is known as a chi kung state of mind whereby in this heightened state of consciousness, they can subconsciously instruct the millions of new cells born every moment to be healthy and wholesome, and not automatically follow the cancer pattern of their predecessors. All these can be achieved, for good health is our natural birth-right. 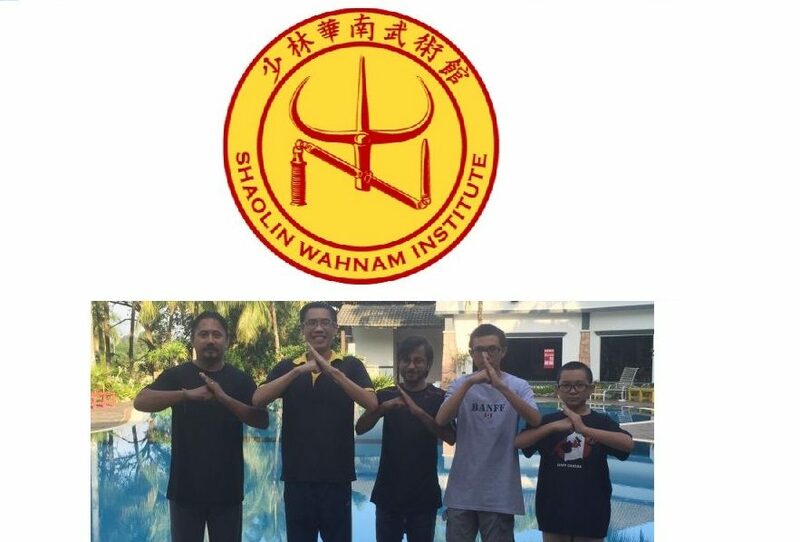 This entry was posted in Shaolin Wahnam Insight, Sifu's pearls of wisdom, Testimonials, Wahnam Sifu on October 30, 2011 by Wei Joo Lee. 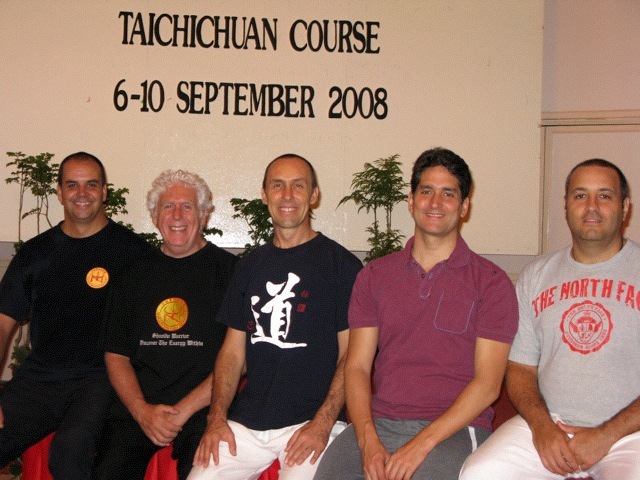 The following testimonial is reproduced from the thread How Has Chi Kung and the Shaolin Wahnam Institute Changed my Life started in the Shaolin Wahnam Discussion Forum on 6th January 2009. Today, while having a wonderful vacation far away from home and during a very special dinner with my family in Saint Moritz, Switzerland, I felt the need to write a letter to Sigung and to my Sifus. The urge to write came because I am feeling so happy these days. I am enjoying a special state of meditative thinking and a sense of gratitude that is covering my complete body. So I decided that instead of writing a private email, I will post a thread in our special Virtual Kwoon. This sensation of gratitude and happiness, I can only recall having felt this way once before, and that was during the iItensive Chi Kung Course in beautiful Kota Kinabalu. It was like a film of 10 thousand pictures going 100 miles per hour in front of my eyes, seeing everything that has happened to me, to my family and to the people who work for me in my companies since I began practicing Chi Kung and Wahnam Tai Chi Chuan. Every image on that film brought me tears of happiness to my eyes, remembering how my attitude towards life has changed, the connection I was able to reestablish with my dad and my two kids, the many projects I have created. All of these blessings came into my life because of my involvement with the SWI. I have been able to be more serene, more relaxed, happier, loving, more aware and more centered. All these conditions brought me a new sense of being in what I called the ZONE, which for me is to be able to be in FOCUS and with a clear objective to be achieved. As I said before, I felt a need to write how I feel, to send my gratitude to Sigung, to Sifu Piti, to Sifu Rama and to all Members of the SWI Family. This incredible family who have helped me become a better human being… a better person in all senses of the word. The teachings I have received from all of you have helped me facilitate a big change in my organization. These changes have affected over 600 direct workers and more that 3,500 indirect workers. It has also allowed me to raise their standard of living in a country were more than 89% of the population are in extreme poverty. It is through these lines that I am able to give some of the gratitude back to my Sigung and to my Sifus. They have helped me all these years and are still contributing with my development through the teachings and practice of the Shaolin Arts, that in terms have helped many people who have decided and have taken the big step to become Healthy, to have more Vitality and to experience the greatness of Spiritual Joy. It has been more than three years now since I started practicing Chi Kung… but being able to open up a closed heart. To see and feel the suffering around me but also the happiness that is in front of my own eyes has changed my attitude towards life. The balance to grow in knowledge, compassion and power has allowed me to become free, happy and to enjoy LIFE. I canot thank you enough; you gave me another sense, another direction, to my own life. I now enjoy having a clearer direction in my life’s goal. The decision making process is more tranquil, more serene, with less fears and distractions. You have set you destiny in a novel cause and I will always Thank Kuan Shi Yin Pusat, Si Tai Kung Ho, Si Tai Kung Lai, all of the pasts masters, Sigung, Sifu Rama and specially Sifu Piti for allowing me become a part of this family. 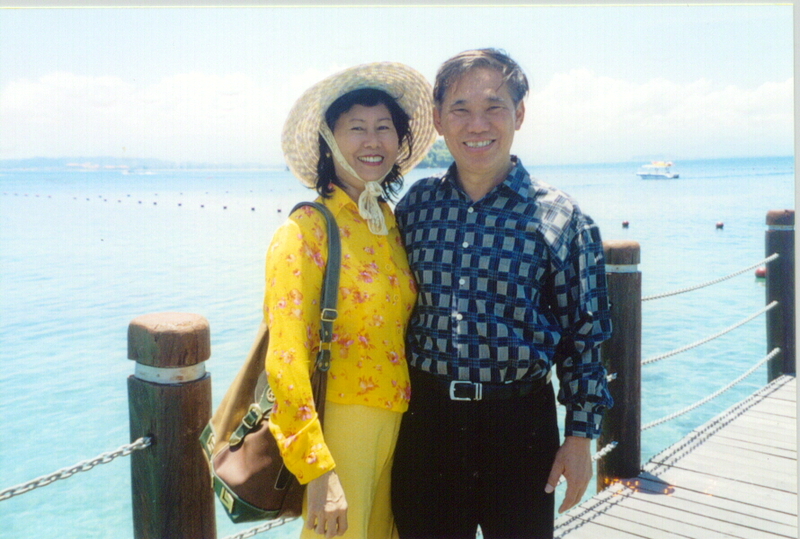 This entry was posted in Testimonials, Wahnam Sifu on January 16, 2010 by Wei Joo Lee.